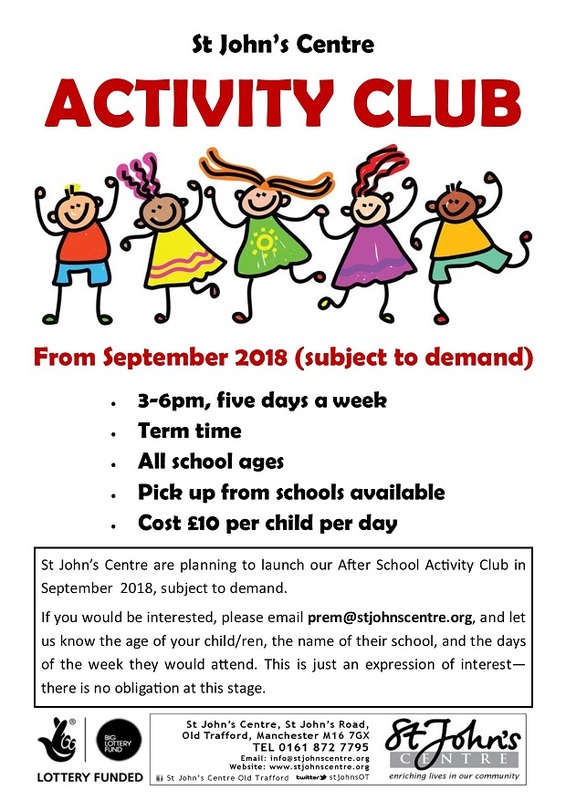 St John’s Centre are condiering launching an After School Activity Club, subject to demand. If you would be interested, please email prem@stjohnscentre.org, and let us know the age of your child/ren, the name of their school, and the days of the week they would attend. This is just an expression of interest—there is no obligation at this stage.